The annual North Dakota Clothesline Project at UND, set in the ballroom of the Memorial Union, raises somber awareness of domestic violence and interpersonal abuse that takes place every day in the community. Photo by Dima Williams/UND Today. 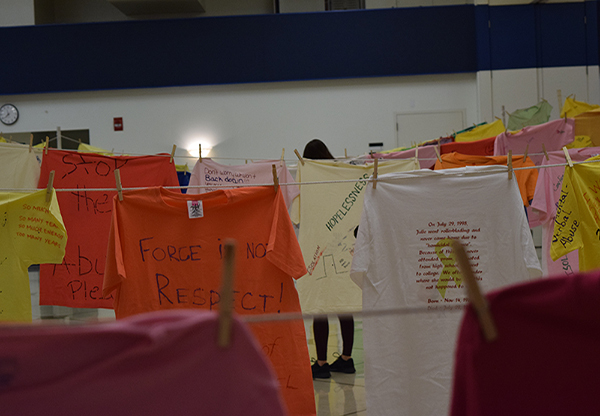 The Clothesline Project runs through Friday (Oct.5), from 10 a.m.- 7 p.m., at Memorial Union Ballroom. The ‘Take Back the Night March and Rally’ takes place on Thursday, from 6-8:30 p.m. The march starts at the Memorial Union at 6, and concludes at the Chester Fritz Auditorium. This wrenching message, stenciled on a plain orange shirt, hangs in the air heavily – figuratively and literary. 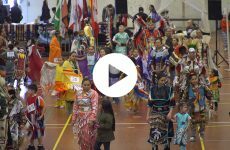 It is one of dozens of statements – powerful and poignant – that make up the North Dakota Clothesline Project. A display of T-shirts embossed with the stories of abuse survivors and their loved ones, the project fills the Memorial Union’s Ballroom. Open through Friday, it is in its 24th installment at the University of North Dakota, where it stands as a solemn maverick to interpersonal violence on campus, the city and elsewhere. In 2016, the last year the North Dakota Attorney General’s Office has data, state intervention centers handled more than 6,000 incidents of domestic violence, a slight uptick from the prior year. Over 1,000 of those victims suffered at the hands of a former spouse or lover. North Dakota’s statistics pour into the staggering numbers across the U.S., where, on average, 20 people per minute experience physical abuse by an intimate partner, according to the National Coalition Against Domestic Violence. Over the span of a year, the tally swells to roughly 10 million Americans. Peggy Jo, campus prevention and education specialist with CVIC at UND, says intimate-partner violence is difficult to detect because of its inherit barriers and dynamics. Photo by Dima Williams/UND Today. The North Dakota Clothesline Project, which the Community Violence Intervention Center (CVIC) at UND is hosting for the first time this fall, aims to focus the societal lens on domestic violence, which often lingers in a blurry backdrop. 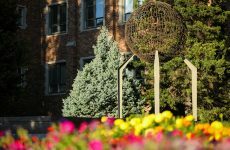 “It helps to reduce some of the fear, I hope, and some of the stigma and some of that victim blaming behaviors that have been part of our culture for a long time,” said Smith. The exposure of violence requires more than simply beaming a light on it. It demands education, said Dianna Bata, president of the campus “It’s On Us” student organization. The project seeks to bare the breadth and depth of violence through seemingly ordinary setups that, nonetheless, convey profound meanings. Like a laundry string that instead of carrying fresh clothes packs T-shirts soaked in tales of survivors and their families. Like a table with empty seats for those whose death cracked a void in the lives of others. One chair is for Dru Sjodin, a UND student who was stalked, sexually assaulted and killed in late 2003. In many instances, violence prevention begins with knowledge. Not simply learning about the prevalence of abuse but also recognizing its subtle tell-tale signs. To that end, CVIC at UND and It’s On Us teach recommended bystander actions. “Step up and say something when you see something,” said Peggy Jo. To obviate violence, part of Jo’s work is to dispel the myths enshrouding it. These encompass misconceptions ranging from purported safety to the age and gender of perpetrators and victims. “It can happen anywhere to anybody,” said Jo. Jo’s efforts are paying off. 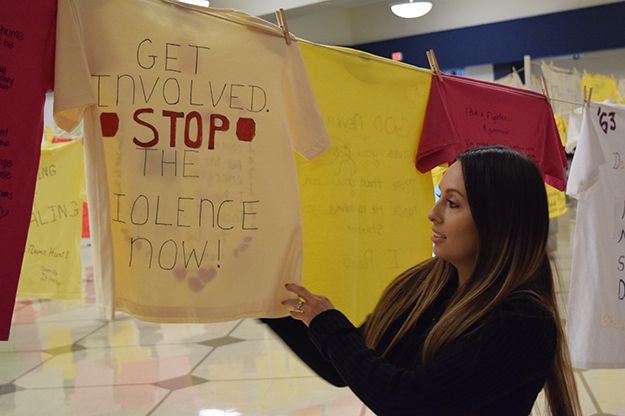 Students, citizens and businesses are reaching out to her, asking how to spread awareness and promote anti-violence events like the North Dakota Clothesline Project. “The pouring of support is motivating and yet even more of a reason why we need to be out there talking to more people that do not know that we are here,” Jo said. CVIC at UND and It’s On Us are already making a difference for Izaiah Reynolds, a marketing junior who will be one of the masters of ceremony at this year’s Take Back the Night Rally on Thursday, Oct. 4. Volunteering for the march, a culmination of sorts for the mission of the clothesline project, has shifted his outlook. 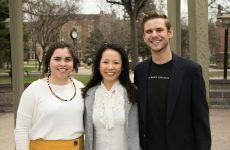 “It was a change within myself and how I go about my day and just seeing little things on social media or around campus or around town and seeing how things are all connected,” he said. The need for this empathic, informed perspective rises amid the somber rows of T-shirts.